Climate change has affected our weather in many ways, and nowadays we are not so sure what the winter months might have in store for us. Before it gets too cold, too wet or too windy, it's time to get outdoors and make sure that your garden is prepared for the winter ahead. With the torrential rain that we have been experiencing over the last couple of years, it is now important that your garden is designed to allow for water flow. In a housing development, properties should be built to accommodate the slope of the land, which in most instances means that your neighbours may have to accept water from your property if they are on the downslope. My personal experience with this is that many neighbours block off this access as an inconvenience to them, or it becomes blocked over time, and water then builds up in your garden and can cause flooding. Whatever the case may be, you need to look at ways to solve this to prevent future problems should torrential rains occur. Any area in a garden that is impervious means that it blocks the natural flow of water. There are many surfaces in your garden that are considered impervious, from paving to constructed buildings that block the natural flow or re-direct the flow of water to another area. 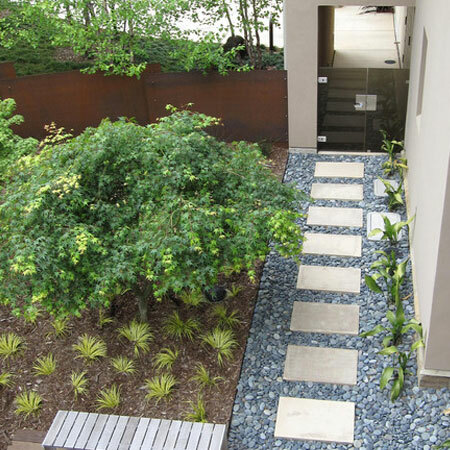 A permeable garden design takes into consideration the natural flow of water and lets this flow through and away without the possibility of causing damage to built structures. 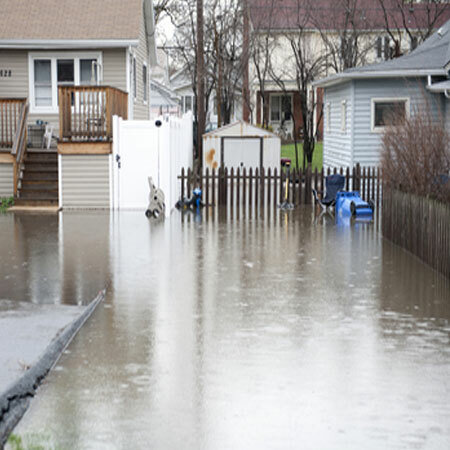 If your garden is already water-logged or there are areas where water tends to pool, take action now to remedy this before it becomes a serious problem. Replace solid landscaping materials with alternatives that allow water to drain through. 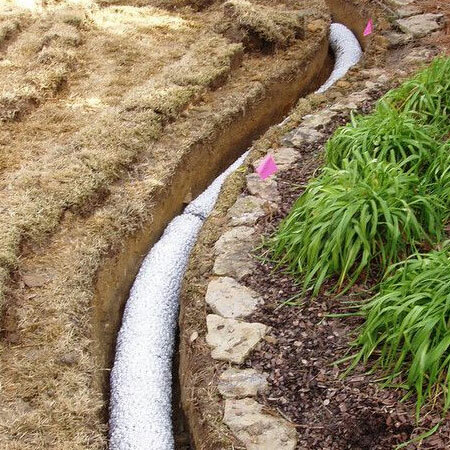 A French drain is one of the easiest and most effective ways to counter a water-logged garden. A French drain is essentially a man-made drainage system that lets water flow through the ground and away from any buildings where it may pool and cause structural damage or flooring. Strong winds can so easily cause trees to become weakened, and even fall over if the ground below is water-logged. 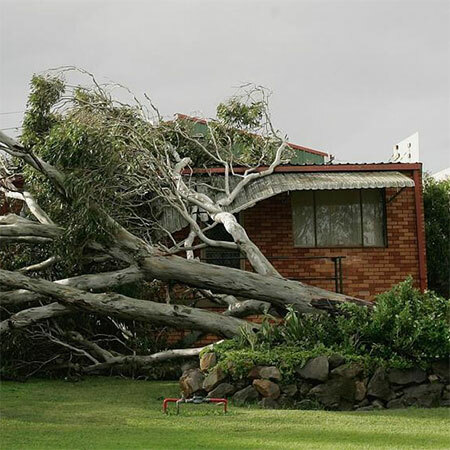 The best way to prevent the possibility of damage to your property by large trees is to regularly inspect and identify large branches that may pose a risk, as well as being on the lookout for rot and disease to trees on your property. Trees that overhang a roof also pose a threat, since it is easy for branches to scrape over roof tiles causing them to slip loose or break. For your own piece of mind, it is far better to have branches cut back to protect your property. Another reason for keeping trees away from the roof is the fact that leaves can easily block gutters and downspouts, leading to water overflow that can damage the structural integrity of your home. The above are just a couple of necessary steps that need to be taken to ensure that your garden is ready for the winter ahead - over and above the tasks that you normally do to prepare your garden for winter.